“There is something about the outside of a horse that is good for the inside of a man (or girl).” Winston Churchill. 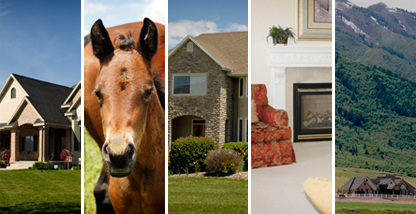 Uinta’s equine program is the most purposeful and comprehensive equine program in residential treatment. 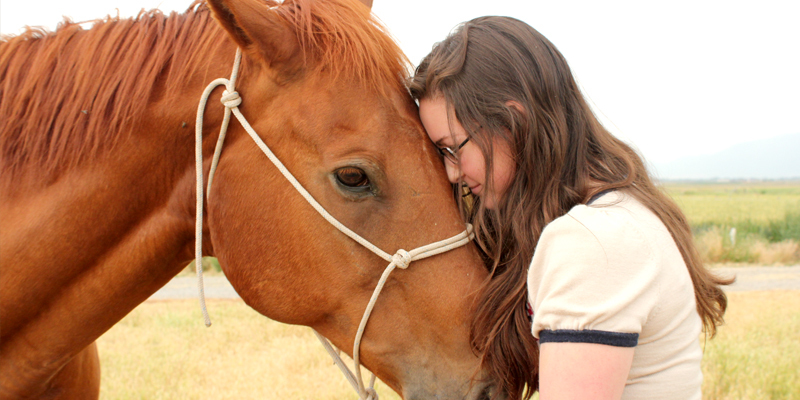 There is a reason that horses are such great partners in helping girls through personal struggles. Horses are herd animals with a social order, much like humans. They seek companionship and must find their place in the herd’s social structure. When a girl spends time with a horse, she must assess and figure out her relationship with her horse while her horse figures out the relationship as well. How a girl manages this process often mirrors her relationships with other people. Each girl at Uinta Academy gets her own horse. By assuming ownership of a horse, she also assumes the responsibility for providing for its well being. Every day she must feed, water and groom her horse.However, caring for the horse isn’t the only component in developing a relationship with it. By working with her horse, she puts in the time and effort necessary to make sure the horse feels safe and trusting. As prey animals, horses view all situations with suspicion and fear. They communicate primarily through body language, while humans communicate primarily through speech. Therefore, each girl learns a lot about relationships; communication, reciprocity, tolerance, and showing concern. Many girls find it easier to practice these skills with their horses rather than to practice with a person. All of these exercises teach the girls that trust, effort and communication are essential qualities of any healthy relationship. 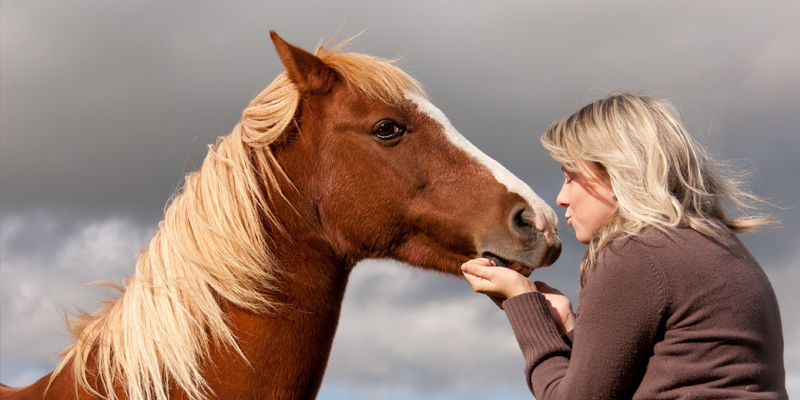 The girls do not ride their horses because these relationships need to be purely altruistic. This teaches the girls that they can develop relationships without the expectation of getting something in return. For girls with no prior experience, the size and quickness of a horse can be intimidating. If a girl is initially uneasy about approaching her horse, the staff works patiently with her until she feels more comfortable. As she confronts her fears and learns to approach and handle her horse, her confidence grows and she feels empowered to confront other challenges. 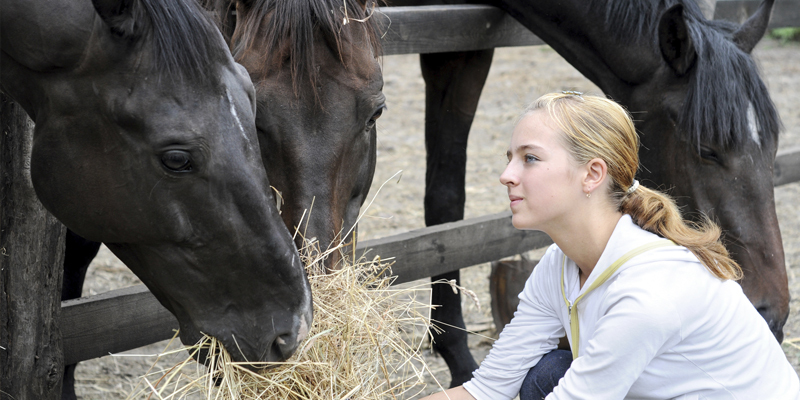 Every girl participates in a weekly Equine Assisted Psychotherapy group. Uinta’s equine therapists are all trained by Greg Kersten, the founder of Equine Assisted Psychotherapy and founder of EAGALA (Equine Assisted Growth and Learning Association). Equine tasks done in these sessions are typically activities designed to develop communication, boundaries, emotional regulation, problem solving, teamwork, assertiveness, resourcefulness and self esteem. The girls’ interactions with the horses in these sessions provide valuable information to the therapists that can be processed with the girl. The girl can draw on her experience and compare it to other situations and relationships. When a girl can compare a horse’s action to that of someone in her life, she can assess it without an emotional response from that person and with less emotional stigma of her own. During the summer months, the girls participate in natural horsemanship activities, which incorporate techniques pioneered by Pat and Linda Parelli. 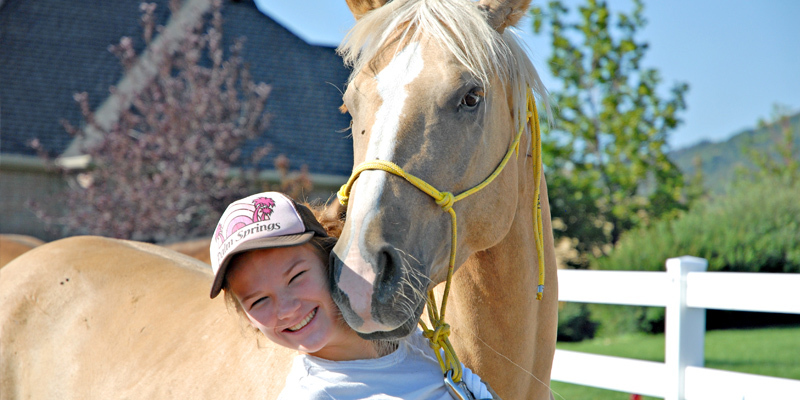 The core principles of Parelli are “Love, Leadership, Language.” These concepts compliment the relationship skills that are the foundation for Uinta’s therapeutic approach. Girls learn seven “games” that they can play with their horse to establish trust, leadership, and communication. The games are a fun way for the girls to practice these skills and build self confidence. During the spring and summer months, weekly horseback riding is offered to all the girls. 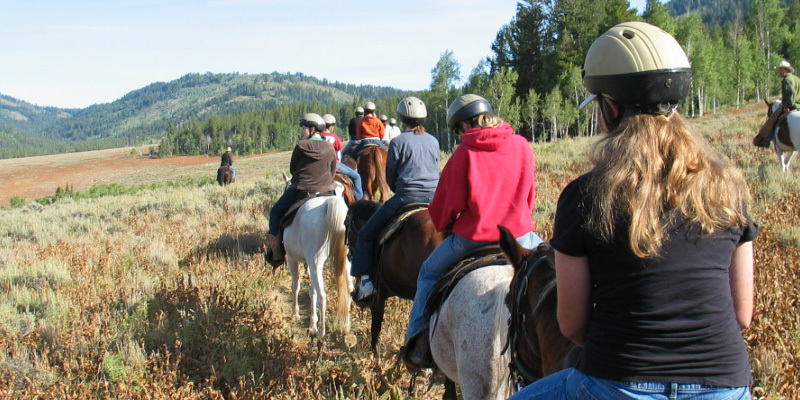 This includes riding in an arena, as well as trail riding in beautiful wilderness areas. Because the girls do not ride their own horses, Uinta maintains a string of riding horses. These horses are well trained and gentle, consequently, they are safe for all the girls to ride. Many girls come to Uinta with extensive riding experience, even having ridden competitively. These girls are encouraged to use their expertise to help novice riders. The girls that have not ridden before get one on one help from a professional riding instructor. In addition to riding, the girls learn about tacking up the horses before the ride, and unsaddling and caring for the horses after the ride. "Uinta has the most sophisticated equine program in the residential treatment profession."